What does your ideal post-career life look like? Whether you envision long days on the golf course, lazy days on the beach or exciting trips to far-flung destinations, these local experts have strategies that can make your dream a reality. “Retirement” is not a one-size-fits-all scenario. Everyone has a different vision of what that time in their life will look like: living a cultured life in a condo in the city, sharing a cabin nestled in the woods, luxuriating in a beach house or enjoying an endless road trip in an RV. Here’s what the experts have to say about how to get where you want to be by the time you’re ready to start that next chapter. Goal: Start early! Every dollar invested during your twenties can have a significant impact on your quality of life during your golden years. Do: In the early stages of your career (and a lower tax bracket), contribute to a Roth IRA or Roth 401(k). Unlike a traditional IRA or 401(k), distributions during your retirement years come out tax free. Don’t: Don’t be conservative. You want this money to grow over the coming decades. Just getting started: You have 40+ years to let your investment returns compound until your retirement years. Let the magic of compounding work for you! Goal: Maximize your 401k contributions. Build your safety nets. Do: If you are not able to invest the allowable IRS maximum then put your 401(k) on automatic increase until you get to the maximum contribution. Don’t: Don’t have a large portion of your retirement in company stock or one specific stock. A well-balanced portfolio will assist through market volatility. Goal: Strategically save and invest based on your goals. Do: Work with a professional to see if you are on track and how to best manage your investments. Address long-term care for aging parents, purchasing a vacation property or other goals, while staying within your financial retirement plan. Don’t: Don’t allow competing priorities to get in the way when it comes to saving. Pay yourself first. Just getting started: Create a written financial plan. Identify any gaps and discuss the various options to shore those up; short and long-term. Member New York Stock Exchange/SIPC. *Opinions are those of Bruce Corwin and not necessarily Raymond James, and are subject to change without notice. Goal: Income may be at its highest point in your career and kids may be leaving the nest; a perfect time to shift resources toward your retirement savings. Calculate what mortgage payment could pay off your house by the time you retire, and consider its feasibility. Do: Consider long-term care insurance. It may be very affordable at this age and can help you avoid an expense that could derail your retirement plans. Don’t: Consider not putting all of your retirement savings in conservative investments. You might still have another 40 years ahead of you. A portion of your money could be invested with an allocation appropriate for a longer time horizon. Just getting started: You’re probably off to a late start. Other financial obligations may have taken priority in your life, but no more. Make retirement savings your priority. Consider maximizing your retirement contributions and develop a plan to pay off your mortgage by the time you retire. Goal: Refine your financial plan and budget. Do: Examine your expenses. Determine your health care strategy. Build a detailed financial assessment. Don’t: Don’t take Social Security early. 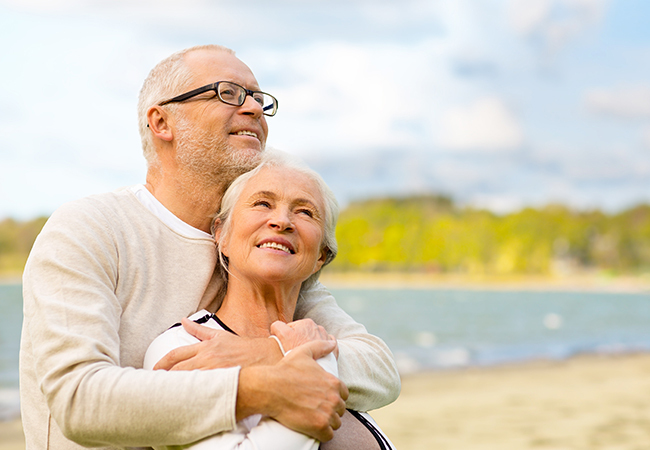 Age 62 is the earliest you can begin receiving Social Security benefits. For each year you wait (until age 70), your monthly benefit will increase, and the additional income adds up quickly. Waiting even one year could make a significant difference. Just getting started: Meet with the Social Security office and a professional advisor. Consider including your children in the conversations.